Basic trainers are the best options during module I training; basically they are Single Engine Pistons (SEP), with fixed pitch propeller (FPP) and fixed landing gears. The most common adopted trainer is the Cessna 172 because it is almost available in every simulator. It is also possible to get lots of payware addons which boosts the realism for this model: SimCoders Reality Expantion Pack and AirfoilLabs are the most common for X-Plane users; A2A simulations for FSX/P3D. Advanced trainers are those models which are recommended for module II and module III. trainings. Module II introduces SEP, constant speed propeller/variable pitch and retractable gear; for this purpose, Bonanza F33/V35 or Piper PA28R are good options with very valuable payware addons from Carenado or Just Flight. Keep in mind to avoid turbo charged models. 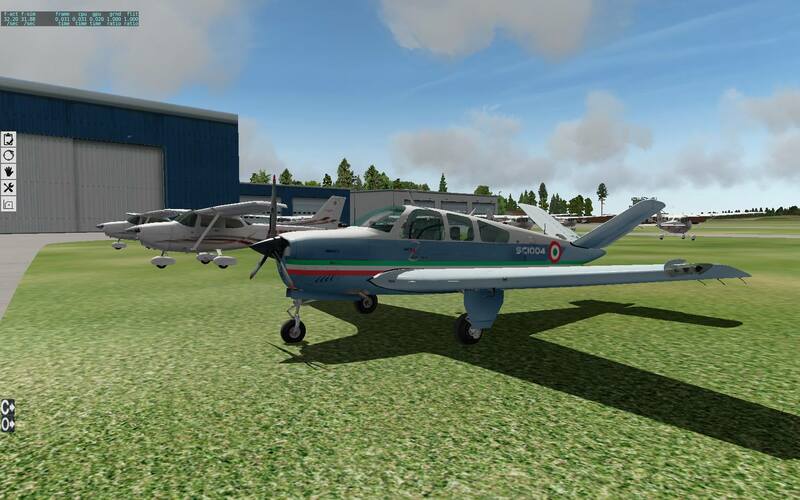 Module III introduces Multi Engine Pistons (MEP) and, currently, we recommend the BE58 Baron because it is available by every simulator with very valuable pay options: Simcoders Reality Expantion Pack for XPlane and Carenado for FSX/P3D.